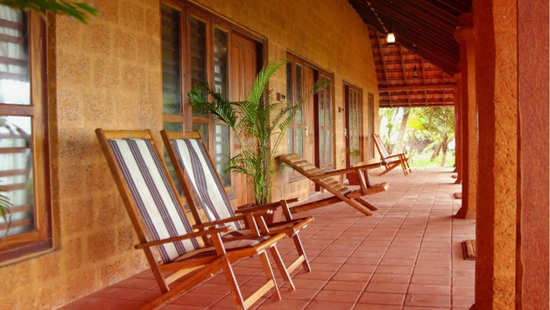 The Chera Rock Beach House is a perfect destination for urban tourists who like to experience the rich tradition of Kerela while enjoying the calm and beautiful atmosphere of the resort. It is located opposite Chera Kalle near Thottada Junction in Kannur and offers guests a perfect ambience to assure a homely exotic experience. 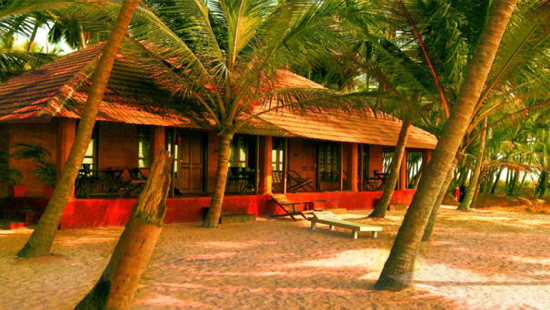 Apart from offering a traditional Kerala home like experience and warm and comforting hospitality to the guests, the Chera Rock Beach House also spread goodness with its Ayurvedic wellness Therapy & Yoga classes. Many tourists, especially foreigners come here to experience the healing touch of authentic Ayurveda & Spa, offered to them amid the fresh air and friendly weather. 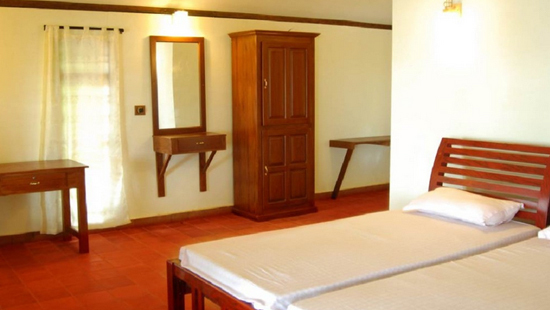 Other things that make the Chera Rock Beach House one of the most sought after hotels in Kannur are its rustic charm, marvelous architecture, regional cuisines, eco-friendly rooms, and modern fixtures. All these things together make this abode a unique place to have a memorable holiday. 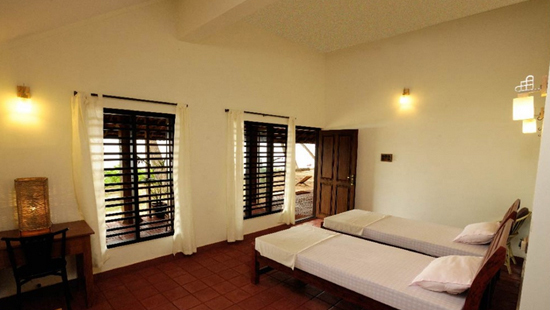 The rooms in the Chera Rock Beach House are divided into two categories, Standard Room and Superior Room. 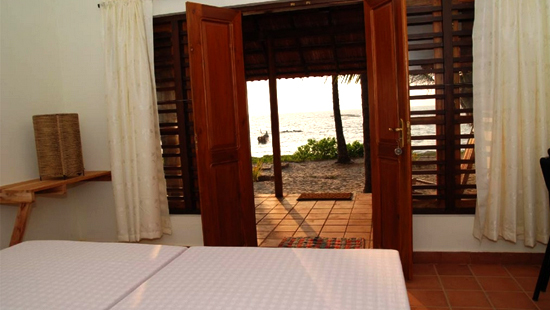 Each room has a traditional feel and are fitted with contemporary amenities, also, there are balconies to offer a spectacular view of the sea. 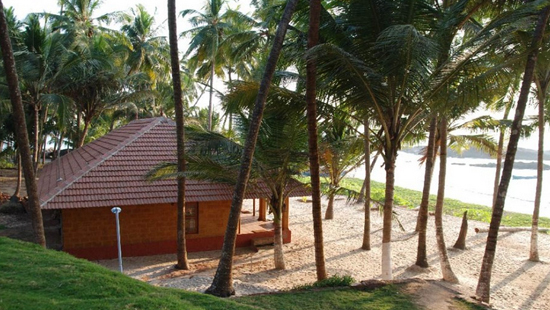 Some of the popular destinations nearby the Chera Rock Beach House are Muzhappilangad Beach, Kizhunna Beach, Fort St. Angelo, Taliparamba, and Meenkunnu Beach. 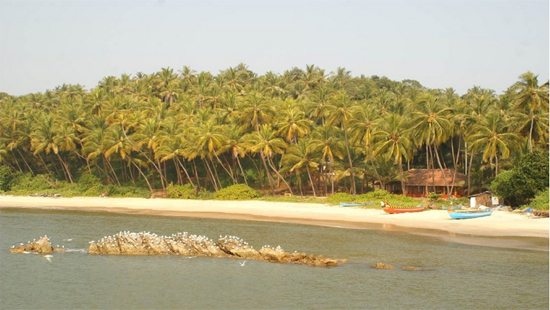 Almost all the beaches in Kannur are surrounded by lush green palm plantation that looks absolutely stunning, especially during the sunsets and sunrise. Travelling to Kannur is not at all a trouble as the distance between the resort and Calicut International Airport is approximately 122 kilometers. Also, the Kannur Railway Station is only 11 kms (approx.) from the resort.